In very chilly, rainy weather, Falmouth jumped out to an early lead on South Portland and captured an 11-0 victory on Saturday at Westbrook HS. Eight runs in the first three innings allowed the Yachtsmen to put the game away early. 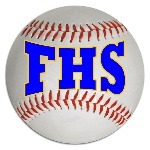 A passed ball during the first inning helped Falmouth put some runs on the board early. Robbie Armitage reached base two times. He scored two runs and had one RBI. He tripled in the fourth inning. Cam Guarino, Reece Armitage and Griffin Aube all looked sharp on the rubber. Guarino held So. Portland to one hit over two innings, allowed no earned runs, walked 1 and struck out 3. Armitage held So. Portland hitless over two innings, allowed no earned runs, walked two and struck out six. Aube pitched one inning and struck out two. Falmouth piled on seven more runs in the top of the third. A error scored Connor Aube to get the Yachtsmen on the board in the inning. That was followed up by Colin Coyne's single, scoring Armitage. Falmouth built upon its lead with two runs in the fourth. A clutch ground out scored Armitage to open the scoring in the frame. That was followed up by Colin Coyne's single, plating Griffin Aube.